Prague, the largest city of the Czech Republic (and the 15th largest in the EU), is of great significance from a historical, political, and cultural point of view, among others. Not only valuable for the Czechs, the Czech Republic’s capital is an important European centre as well. If you haven’t visited Prague yet, you should definitely put it on your “must-see” list. The Czech Republic is a landlocked country, right in the middle of Europe. Its capital, Prague, is located in the north-west of the country, on the Vltava River. The city covers an area of almost 5,000 km² (c. 50,000 ha), and the altitude of Prague is 177 – 399 metres above sea level. Prague lies in the temperate climate region of the northern hemisphere of the Earth, thus the climate is mild, with average temperatures a bit higher than other locations of the same geographical latitude. Find more information on the weather in Prague here. Prague belongs to the CEST (Central European Summer Time) time zone, which is 2 hours ahead of Coordinated Universal Time, and Daylight Saving Time (DST or so called “summer time”) system is practiced there. Just like other big cities, Prague often struggles with an impaired air quality a bit, and there is sometimes smog as well. Nevertheless, the pollutants rate is regularly checked and the citizens are always informed, with appropriate measures taken when necessary. The population of Prague exceeds 1.2 million citizens, and there are around 2 million people living in its larger urban zone. There are over 150,000 foreigners living in Prague, more than a third of all foreigners registered in the Czech Republic. The official currency of the Czech Republic (and thus, of course, of Prague) is the “Czech Koruna”, sometimes referred to as “Czech Crown” (“Koruna česká” in Czech). The symbol of the currency is “Kč” in Czech, and “CZK” in English and internationally. Even though the Czech Republic did not accept the European single currency, it is possible to pay with Euros in some of the tourist areas of Prague. Praguers, just like all Czech people, belong to the West Slavic ethnic group native to the Czech Republic. The official language of Prague is thus Czech (“čeština” in Czech), just like in the rest of the Czech Republic. It is a West Slavic language (influenced heavily by Latin and German), very difficult to learn and used officially nowhere else in the world. Many words are also borrowed from English. The Czech language is very similar to the Slovakian language (used in the neighbouring Slovakian Republic). In the prehistoric era, a number of tribes used to live in the territory of what is today Prague. Around 200 BC, there was a Celtic settlement, and in the 2nd century AD there was a Germanic city. It was during the migration of the peoples in the 6th century AD when the Prague Basin started to be populated by Slavs. According to a legend, Prague was founded in the 8th century by the princess and prophetess Libuše and her husband Přemysl, originally a ploughman. Libuše, the legendary ancestor of the Přemyslid dynasty, allegedly climbed up a cliff above the Vltava river and stated her prophesy about the future magnificent town: “I see a great city whose glory will touch the stars.” On the site she ordered the building of a castle and a town, which she called “Prague”. There are many hypotheses about the origins of Prague’s name. The legend of Libuše tells that the princess had the city founded on a spot where a settler was carving a threshold for his cabin. Because in Czech the word for threshold is “práh”, she called the city “Praha”. But the most probable theory is that Prague was named after a river crossing place under today’s Charles Bridge, which is also called “práh” in Czech. 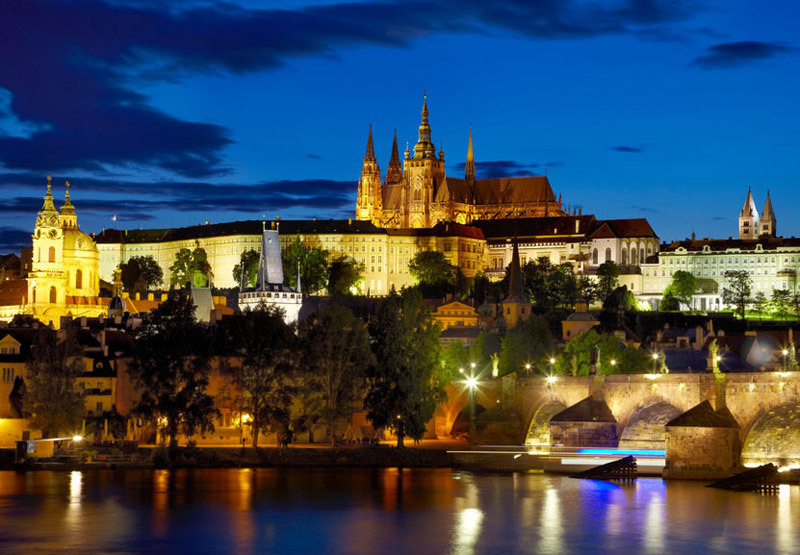 The factual history of Prague started at the end of the 9th century, when Bořivoj, the first historically documented Duke of Bohemia, had a Christian chapel built above the Vltava river. During the reign of his son Spytihněv, the point was surrounded by a defence wall and a princely palace was built there. That is how Prague was founded. Prague grew fast, and in the 12th century it was already a flourishing city, above which the princely castle grandly towered. The history of the Czech Republic’s capital is long and rich, so let us just mention the most significant milestones of it. At the end of the 10th century, Vyšehrad castle was built, and it was between the two Přemyslid castles (Prague Castle and Vyšehrad) that the Slavic settlement, gradually developing into a city, originated. At the beginning of the 13th century, the oldest part of Prague (nowadays called “the Old Town”) was founded, and soon after that the banks of the Vltava river were connected with the first bridge. At the other side of the river, Ottokar II of Bohemia founded the second Prague city in the half of the 13th century, later called “the New Town” and nowadays named “Malá Strana”. In the 14th century, today’s “Hradčany” quarter was founded, and in 1348 the celebrated King of Bohemia and Holy Roman Emperor Charles IV founded the fourth part of the city, “the New Town”. All the parts were finally united in 1784, during the reign of the Holy Roman Emperor Joseph II. After this, the royal capital consisted of the New Town, the Old Town, Malá Strana, and Hradčany. More quarters were later connected, for example Josefov and Vyšehrad. At the end of World War I, the Czech (and soon after, Czechoslovak) independent state was declared, with Prague as its capital. 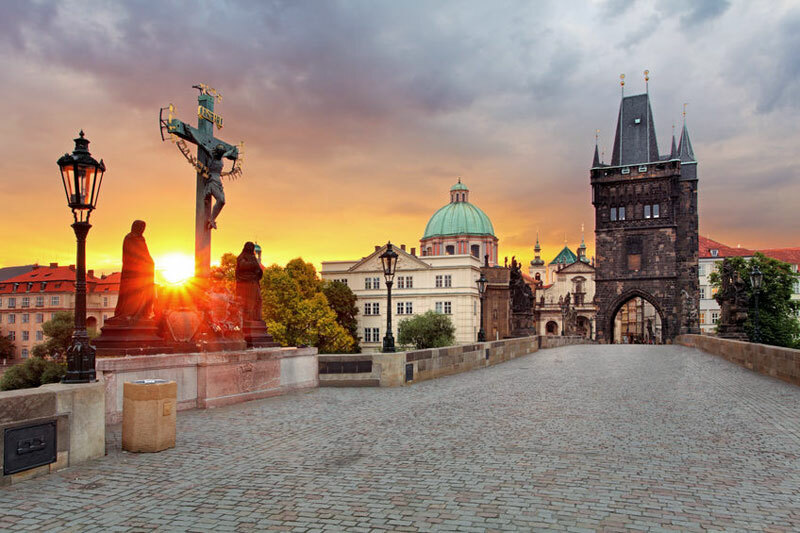 Nowadays, after a lot of dramatic historical turbulence, Prague is a magnificent, significant European metropolis, popular tourist destination, and a beautiful and charming place. It unites echoes of ancient history with a modern, big city bustle. Prague is the seat of many state institutions and other significant organizations (including a number of international ones). The Czech president, parliament, government, other central government entities, and the supreme court reside in the Czech Republic’s capital city. Also, it is the seat of the head offices of most Czech political parties and, last but not least, churches. At the same time, Prague is a highly economically mature city, and a rich region with a high standard of living. It is the 9th richest region of Europe with a high level of employment, and more than 10 universities can be found in Prague. The unique town is widely recognised as one of the most beautiful European cities. Its historical centre is listed as a UNESCO World Heritage site, and every year millions of tourists from all around the world visit it. Prague belongs among the TOP 5 most visited cities in Europe. Prague is also a very important cultural, academic, scientific, and business centre of Europe. Every year, countless conferences, cultural events, and fairs of great international significance take place here. When you travel to Prague, Czech Republic, the essential rules of your entry and stay vary based on the country you are coming from. The most important factor is whether your country is part of the European Union or the Schengen area. You can find detailed info on entering the Czech Republic, duties, and length of stay on the web pages of the Ministry of the Interior. If you travel to Prague by plane, you will enter the country via Prague Airport (Václav Havel Airport Prague). To travel from the airport and also through the whole city, you can either hire cabs or use the public transportation system. Prague’s integrated public transport is one of the best in Europe. Prague offers countless sights to its visitors. Among others, you should definitely not miss the following places: The famous Astronomical Clock on the Old Town Square (which is the oldest and historically most significant Prague square, according to many people one of the most beautiful European squares); Prague Castle with its amazing gardens; Charles Bridge; the Jewish Quarter with its Old Jewish Cemetery and synagogues; Wenceslas Square with the National Museum at the top; and Prague ZOO, one of the best zoological gardens in the world. Apart from its sights and world famous nightlife, traditional Czech cuisine is one of the top reasons why tourists travel to Prague. Countless restaurants and pubs offer marinated sirloin with special sauce (“Svíčková” in Czech) and famous Czech dumplings, roast duck with braised red cabbage, strudel, ham, and other Czech specials. And we must, of course, mention the famous Czech beer, too. 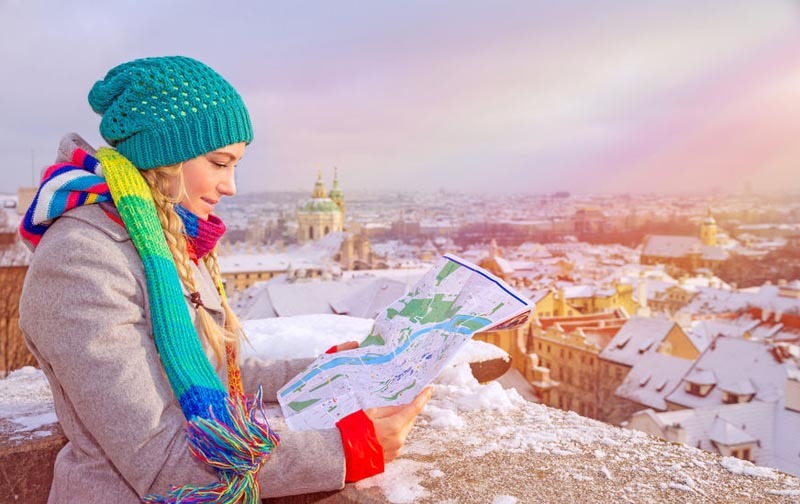 To explore everything Prague has to offer in an outstanding, maximally comfortable and financially effective way, one can use a sightseeing pass, called a “Prague Card”. The card offers a rich variety of benefits, such as free public transport, free entries to selected sights, and many discounts. 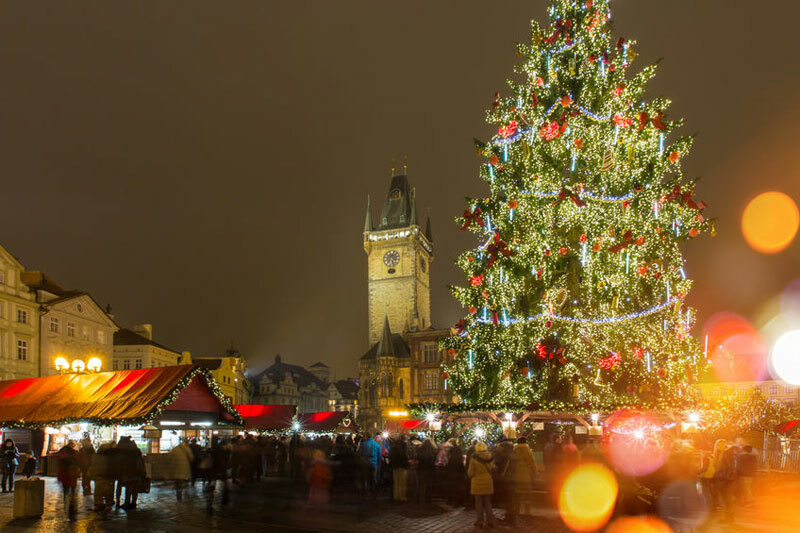 Prague Cards can be purchased at one of many sales points around the city, or online.